California Attorney Charles Nellari, Esq. is an International Lawyer providing Business, Immigration, Employment and Estate Planning Services to Individuals and Businesses. His education and experience in a variety of Laws allow him to provide valuable services to you in matters ranging from the simple to the complex. 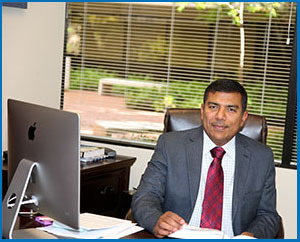 Mr. Nellari is a member of the California State Bar, American Bar Association and Contra Costa Bar Association. His professional experience, skills and affiliations help you establish businesses worldwide. He strategically assists and guides businesses grow internationally. Charles helps domestic and foreign entities form business collaborations and achieve comparative advantages in international markets. International Business Transactions – Charles is dedicated to meeting your legal needs. He tailors his legal services to provide practical solutions for varied and complex legal issues you or your Business face in any business environment. Mr. Nellari works with you to meet your needs and goals. His Law Office caters to the needs of small, medium and large size businesses and Individuals. Sole proprietorships, partnerships and corporations benefit from his legal services. Immigration Law – Charles assists you with Family-based Immigration, Naturalization and U.S. Citizenship claims, Removal Defense, Litigation and Appeals, Corporate and Foreign National Individuals and companies with all types of non-immigrant VISAS including Investors, H1B, H2B, L1, E, TN, O, P, Foreign Professionals, Multinational managers, Athletes and individuals with extraordinary abilities. Mr. Nellari’s knowledge of international regulatory and policy issues allows him to provide you with strategic advice and effective solutions to your Immigration matters. Employment Law – Having a healthy and positive work environment is critical for the success of any business. Proper understanding of the rights and duties of employers and employees is the key to achieve that goal. Employers have the right to hire the best and highly productive workforce to be competitive in a free economy. Same time, they have the duty to provide a work environment free from discrimination or harassment. Proper compliance with employment regulations is a mandatory requirement for employers. A failure of regulatory compliance may lead to large fines to criminal convictions. You can avoid many serious consequences by obtaining proper legal help. When you need guidance on any employment related issues, contact your attorney Charles. His guidance will give you the clarity on various employment related issues. Some employers consciously decide to cut corners of the employment regulatory mechanisms. An increasing number of employees miss their lawfully entitled breaks and lunch. Some work overtime without being properly compensated. Some employees are subjected to discrimination or harassment. Stop being a victim of unfair employment practices, discrimination or harassment. Federal and State Laws provide for the protection of employees from discrimination on the basis of race, gender, color, national origin, religious affiliation or sexual orientation. Call Charles for proper legal advice on right remedial measures. Wills, Trusts & Estate Planning – It is never too early to create an Estate Plan. Both married couples and unmarried persons know the importance of protecting their assets. Charles can help you with your Estate Planning, Wills and Trusts, Healthcare Directives & Living Trusts. Charles helps professionals, young and old, in their prudent estate planning. You will find it beneficial to obtain legal consultation with Charles on all your Estate Planning matters.